We believe that the quality of our trainers is fundamental to achieving a safe and successful experience. This is reflected in our rigorous selection and induction process, often leading to longstanding partnerships with our trainers over several years and delivering a range of our expeditions and programmes. All of our trainers will hold a current DBS certificate, have relevant experience, the appropriate NGB qualifications and will also have attended an induction day with us before delivering a programme. Each programme is risk assessed, with the trainers continuing a dynamic risk assessment throughout the programme delivery. Wilderness Expertise also operates a 24hr on-call system providing support to both trainers and clients. As a provider of adventurous activities we hold a licence from the Adventurous Activities Licensing Authority (AALA), a department within the HSE, who inspect our operations on a regular basis. 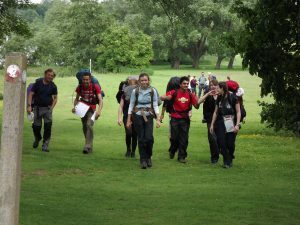 We are also an Approved Activity Provider (AAP) to deliver the Expedition section of The Duke of Edinburgh’s Award.